hd00:39Cute little girl is blowing soap bubbles in the garden outdoors on a sunny day. Slow Motion 240 fps. Happy childhood concept. Child is playing in bright sun light. 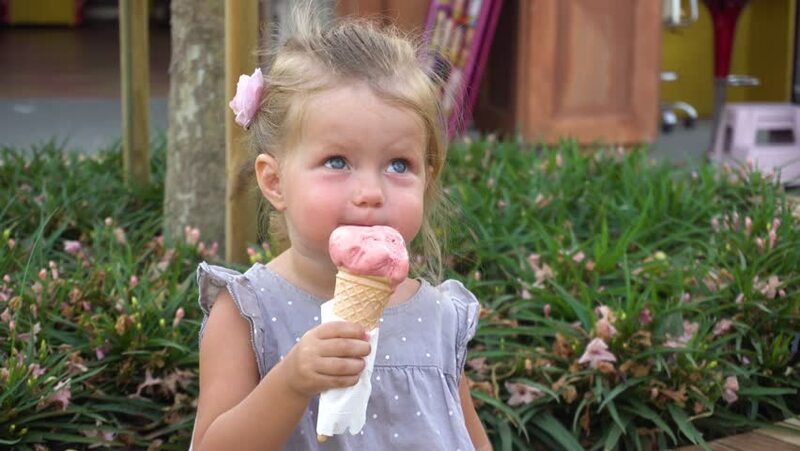 hd00:19Child girl is eating ice cream while sitting on a bench in the park. hd00:09The child is drinking mineral water.Little girl is drinking water in nature.Little girl in bright clothes is drinking water from a bottle in the autumn park.Emotions child closeup.